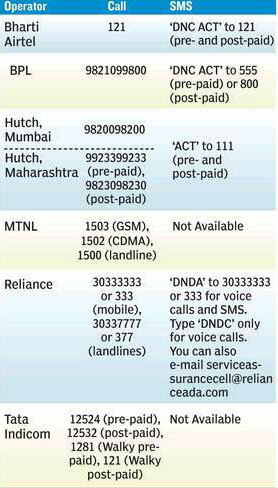 If you’re tired of telemarketers intruding your private space, you can now register your number in TRAI’s Do Not Call Registry. After successfully registering in the directory, the number will stop receiving marketing calls within 45 days. And if a telemarketer flouts the restriction then they will have to chalk out Rs. 500 per minute for the call. Check out the table above to register.